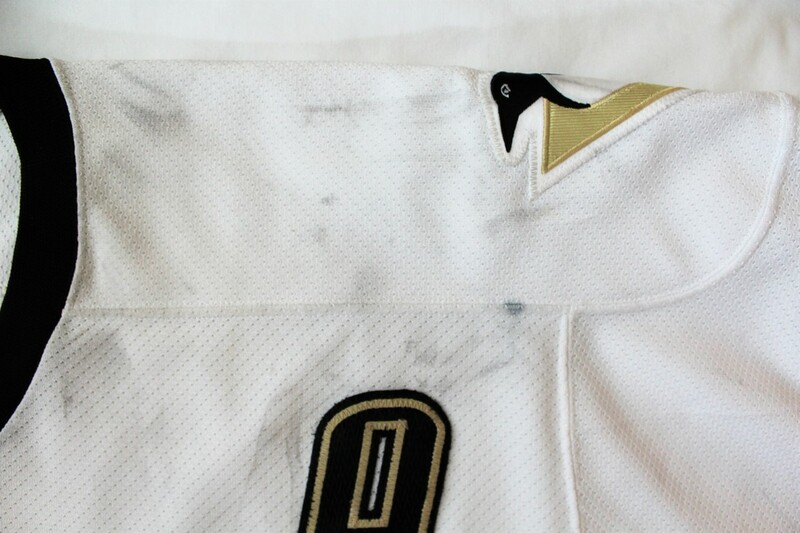 worn during the first 20 road games of crosby's sophomore season including his first career hat trick on october 28th at philadelphia. 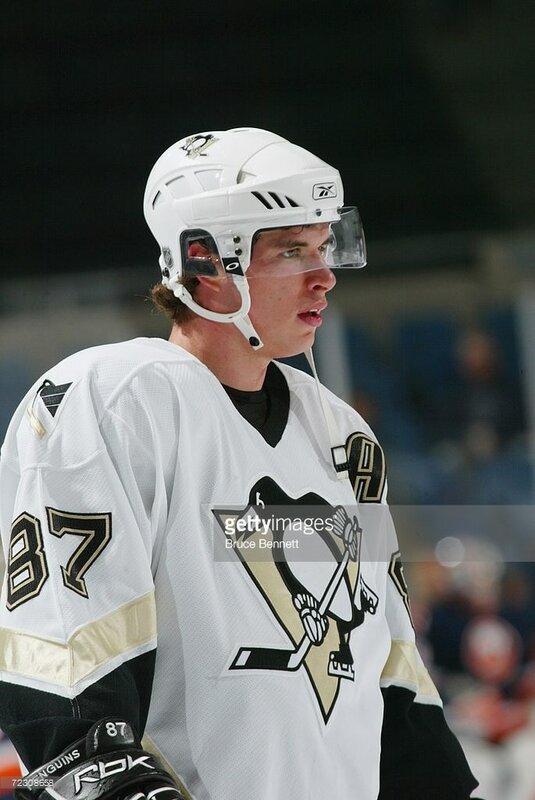 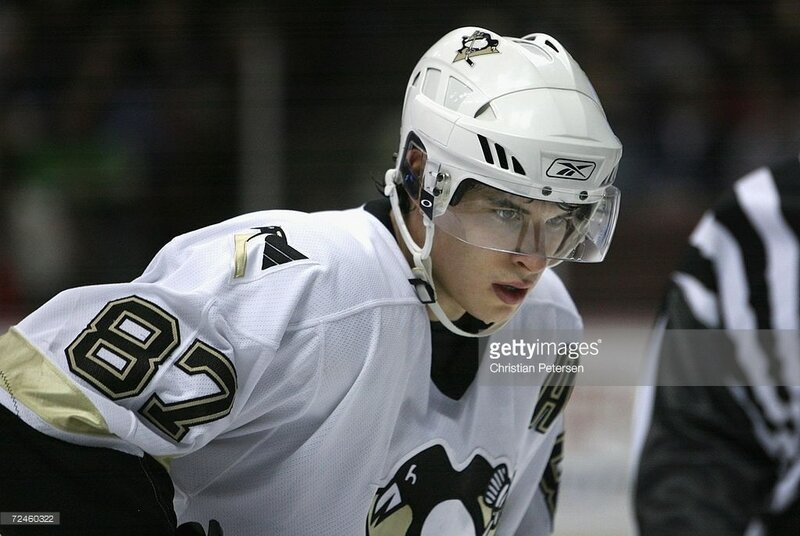 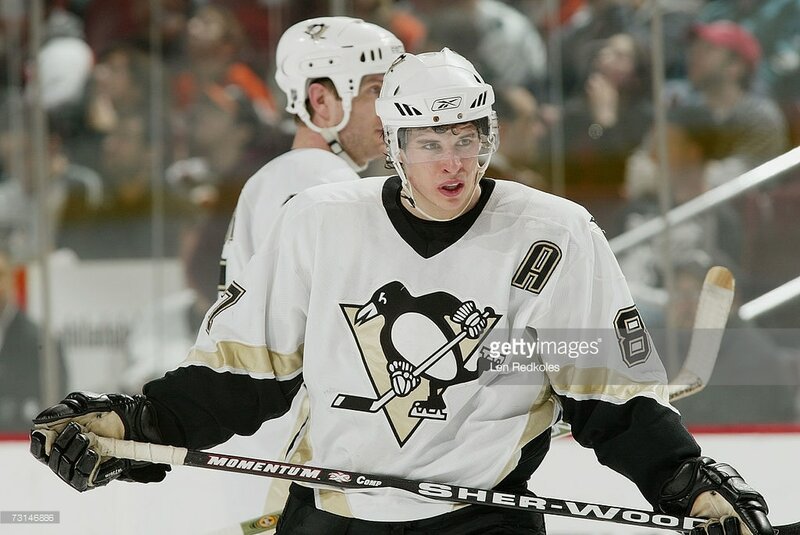 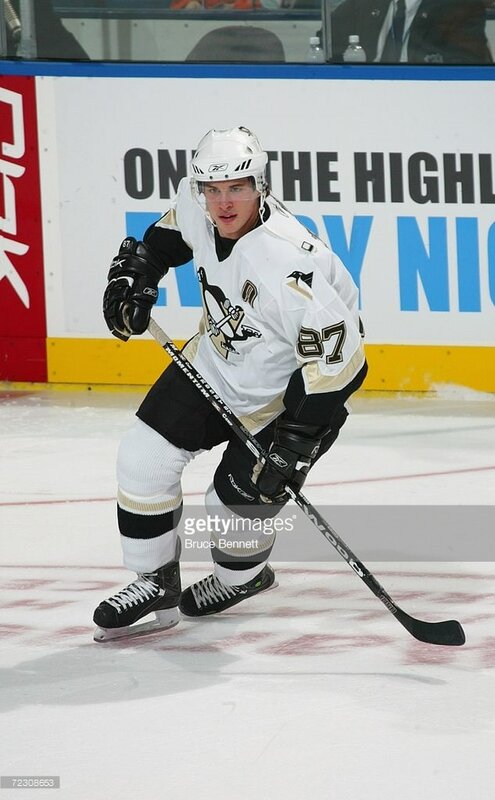 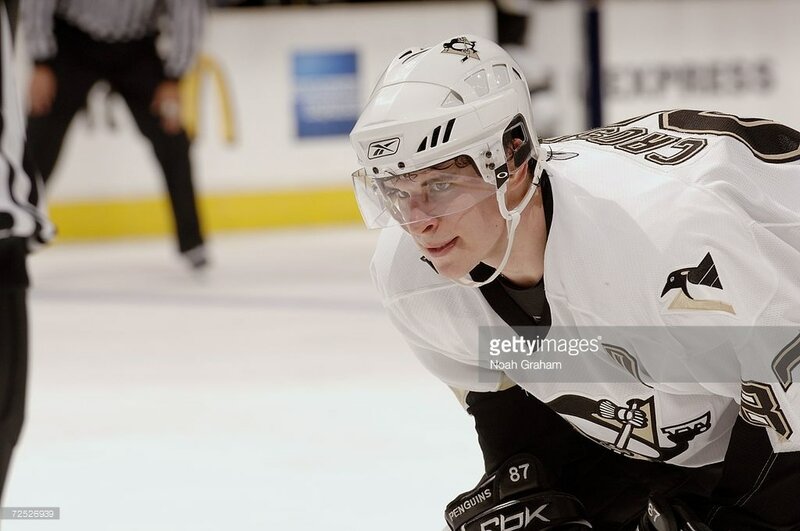 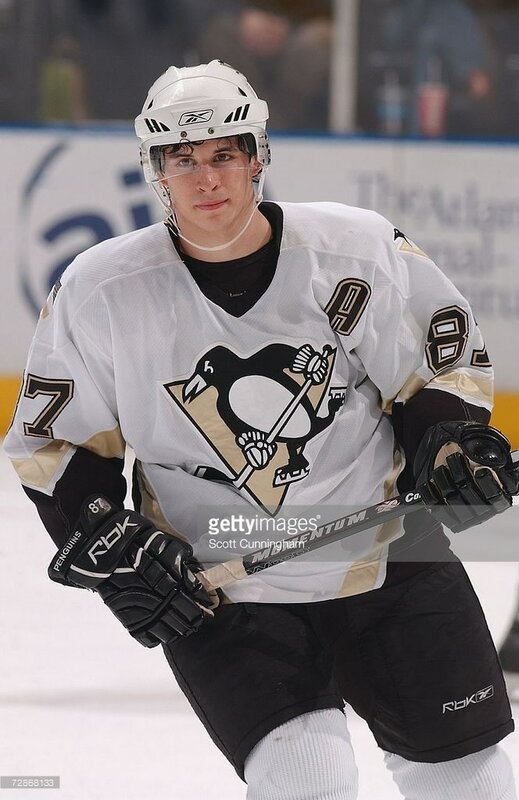 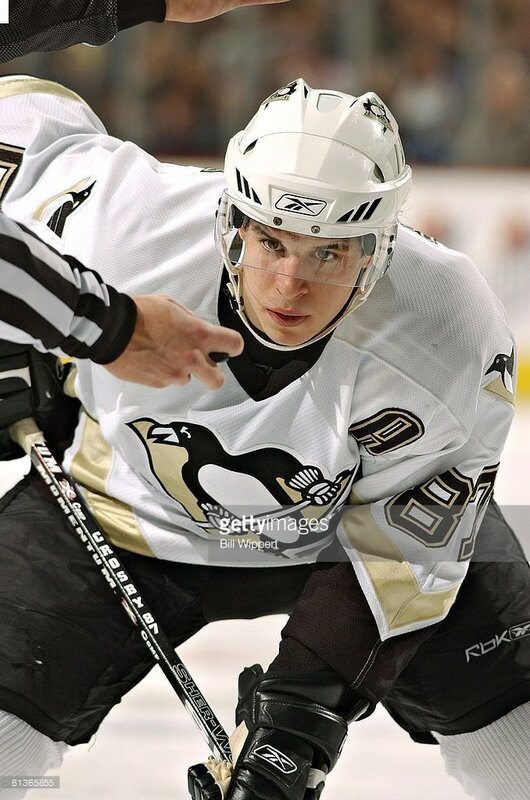 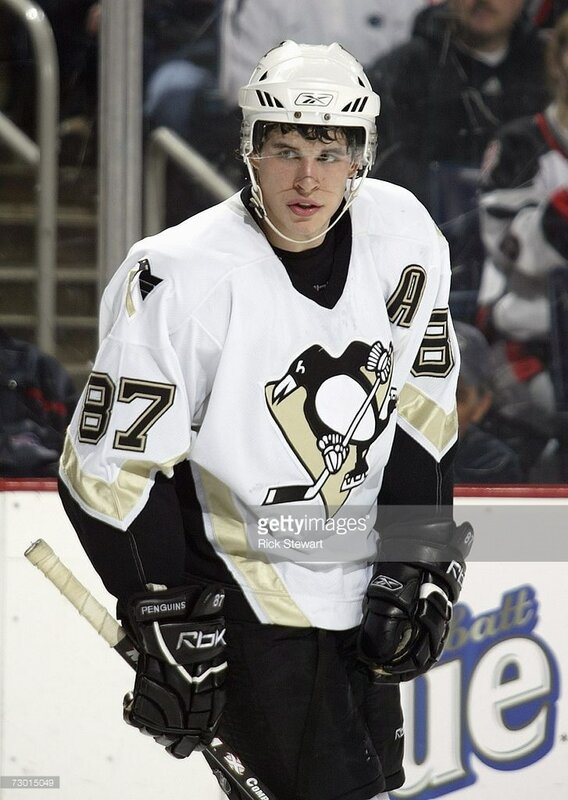 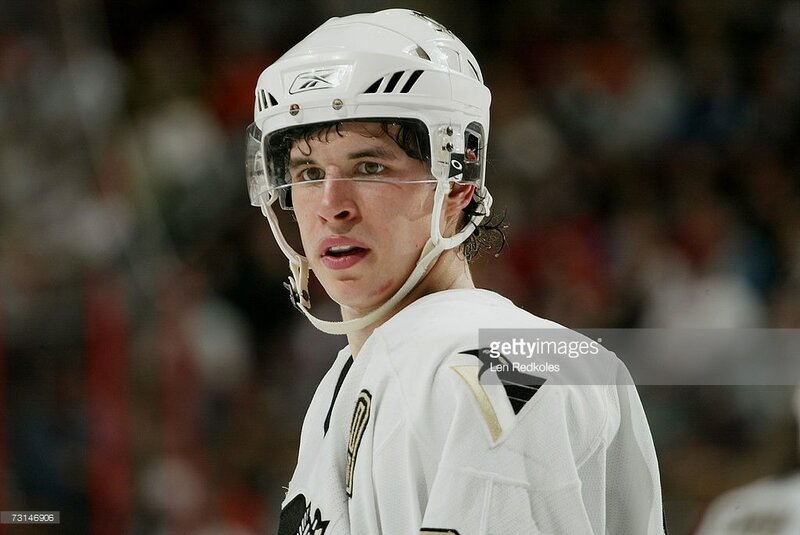 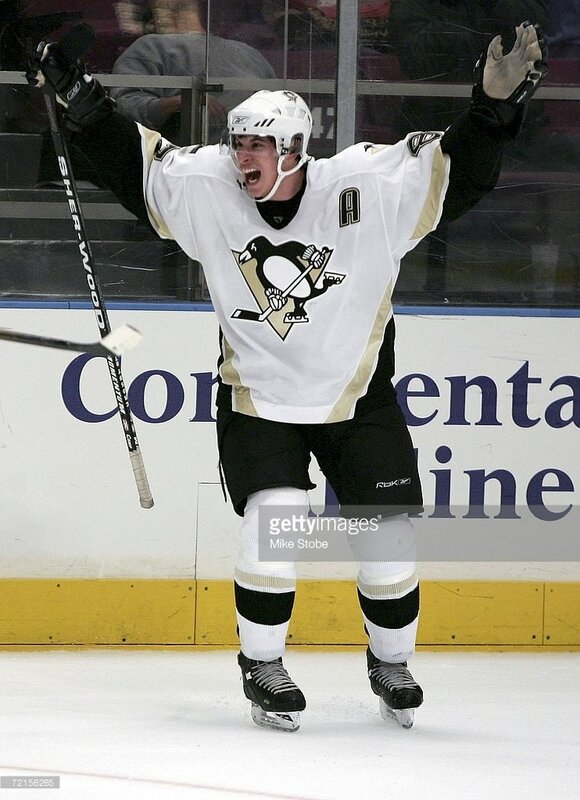 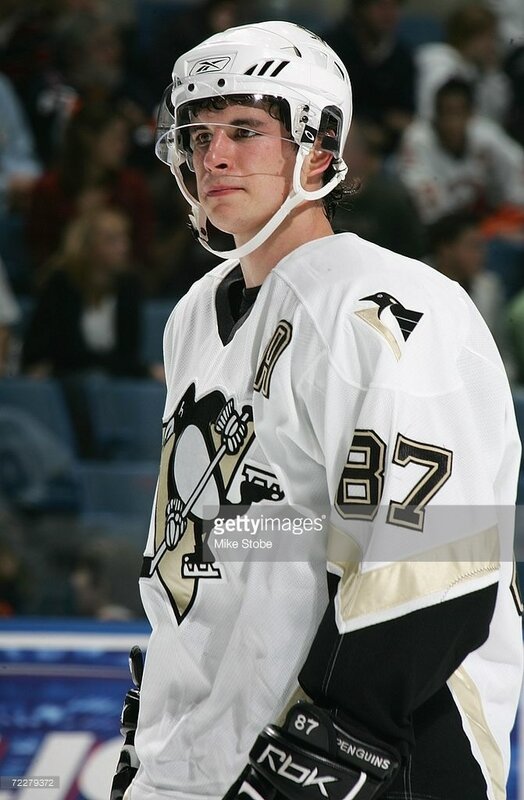 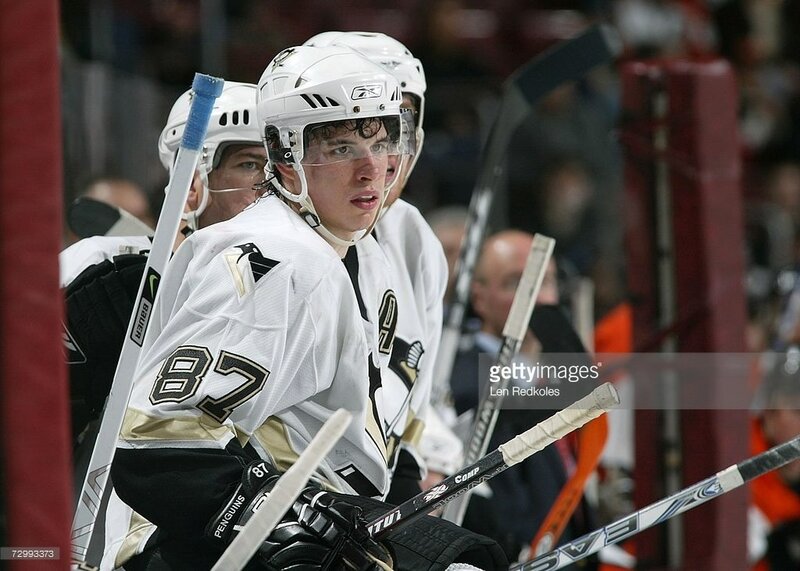 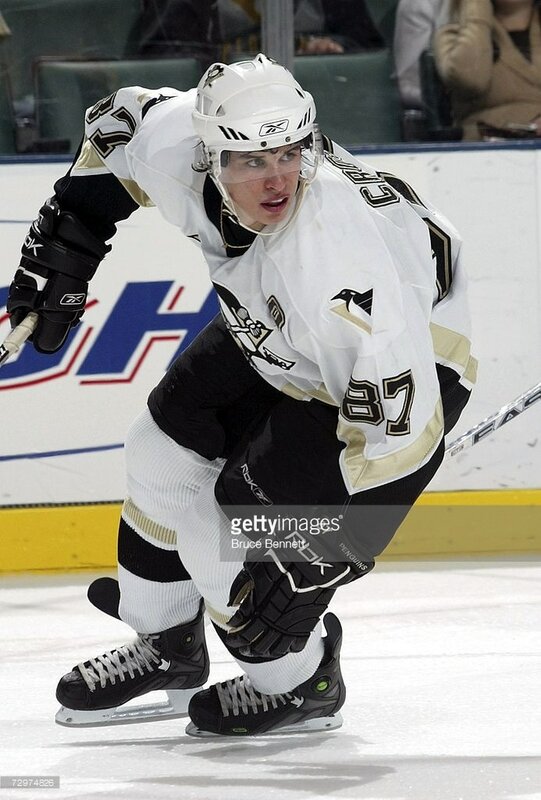 Sidney Crosby captured the Art Ross Trophy (NHL's leading scorer), Hart Trophy (league's most valuable player), and the Ted Lindsay Award (most outstanding player as voted by the NHLPA) during the 2006-07 NHL season. 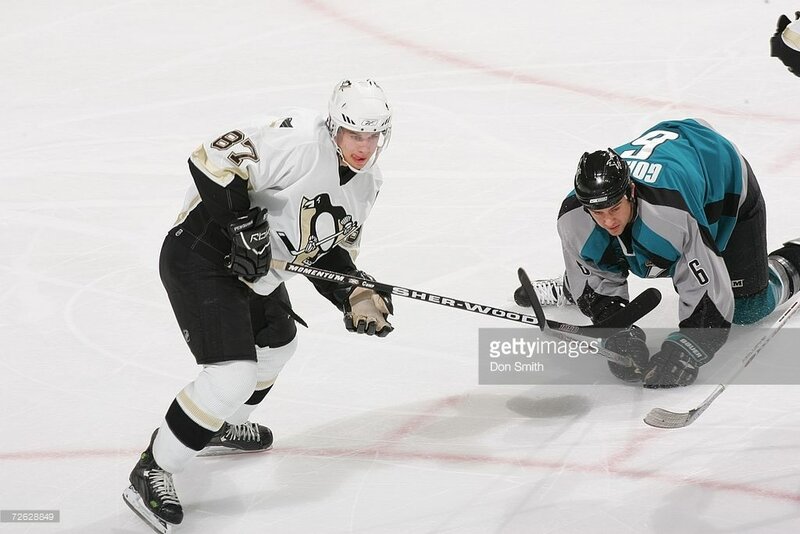 His 36 goals and 84 assists gave him 120 points, six points ahead of runner-up Joe Thornton of the San Jose Sharks. 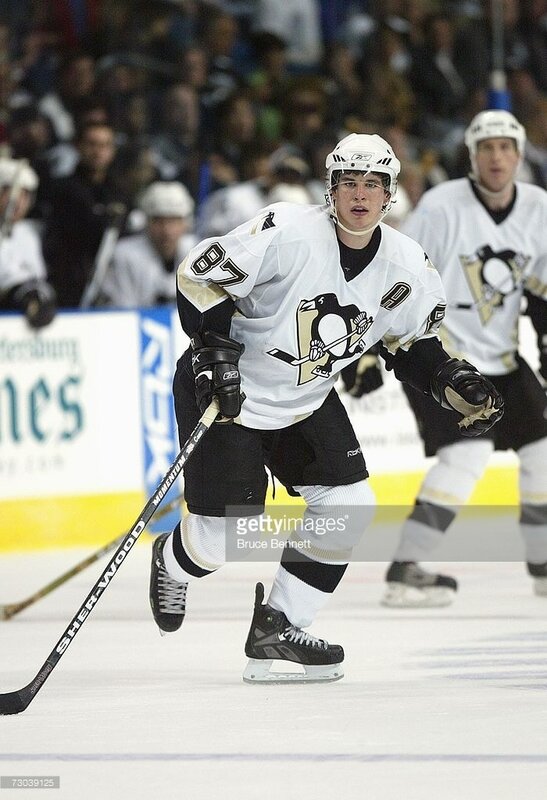 In the first 40 games of the season, Crosby amassed 21 goals and 45 assists including a 10-game point scoring streak from December 2nd vs. NY Islanders to December 21st at Atlanta in which he amassed 23 points (7G, 16A). 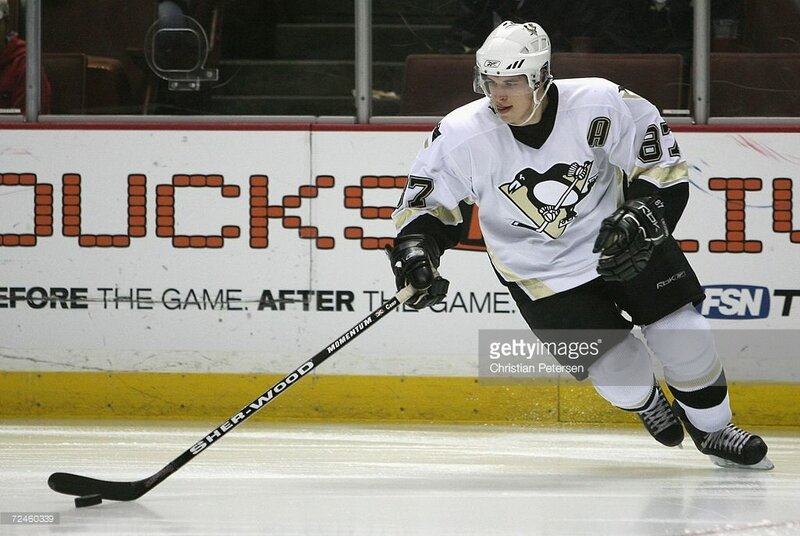 In his first four road games of the season, Sidney Crosby racked up four goals and nine assists for 13 points. 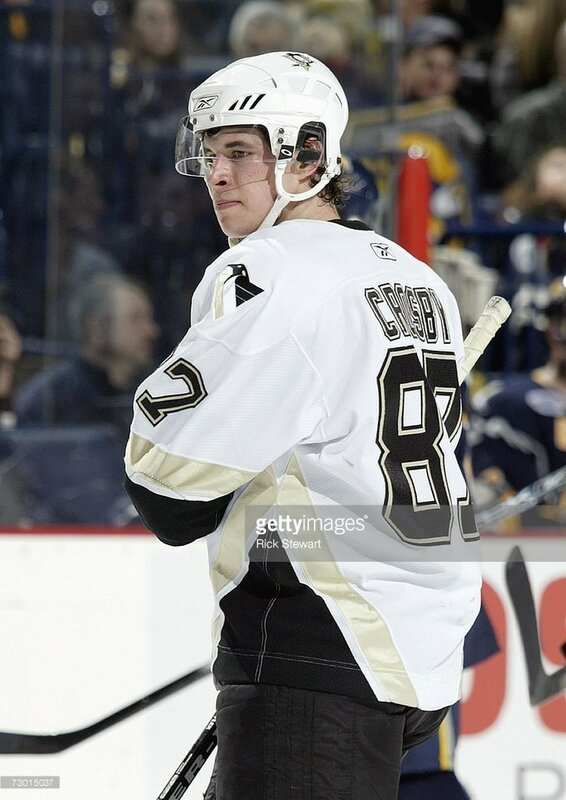 Crosby scored the game-winning power-play goal with just four seconds left on October 12th at Madison Square Garden to give Pittsburgh a 6-5 win over the Rangers. 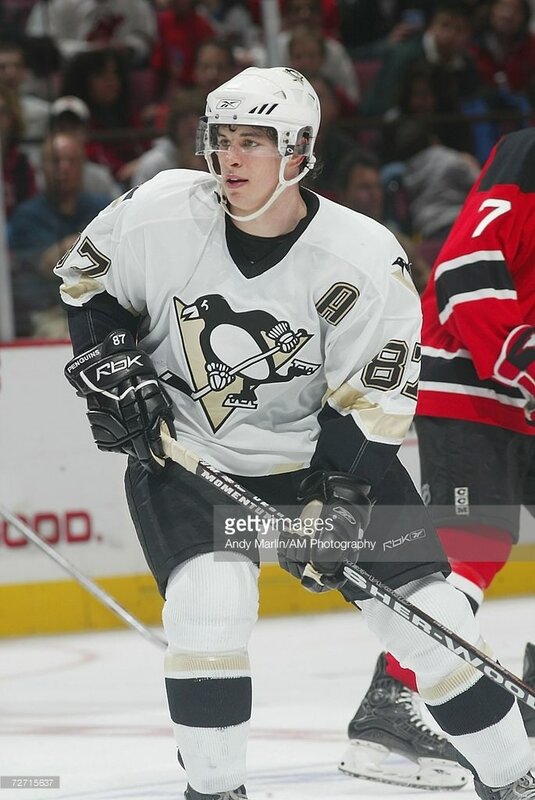 On October 28th at Philadelphia, he netted his first career hat-trick at the Wachovia Center in an 8-2 drubbing of the Flyers. 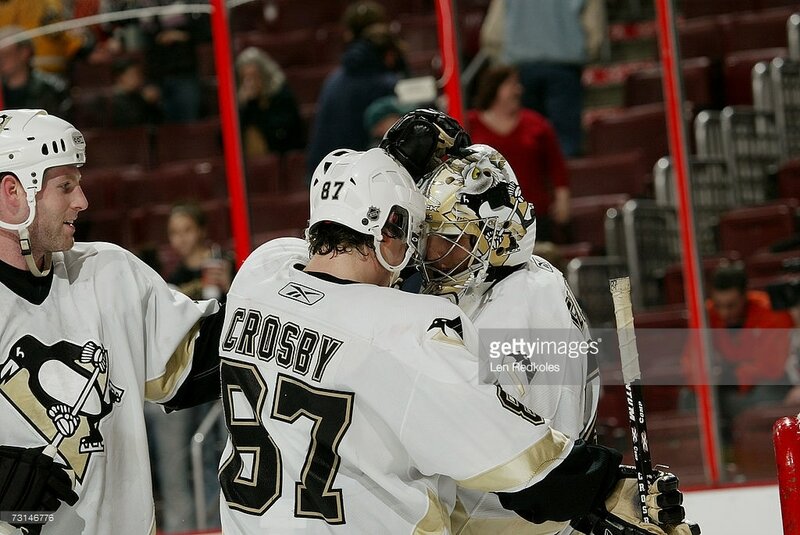 Less than three weeks later, again in Philadelphia, Crosby scored the game-winning goal in a 5-3 win over the Flyers. 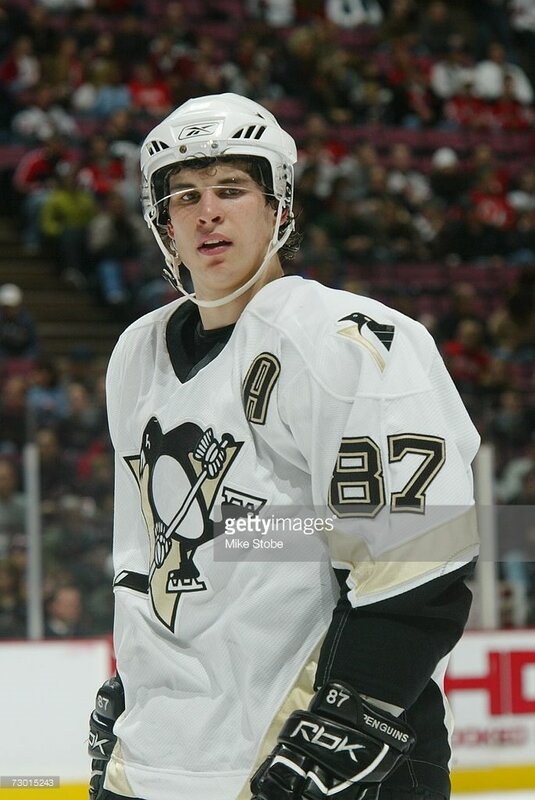 In the first 20 road games of the season, Crosby recorded at least one point in 15 of those games and had a five-game road point scoring streak (4G, 4A) from December 7th at NY Rangers to December 21st at Atlanta. 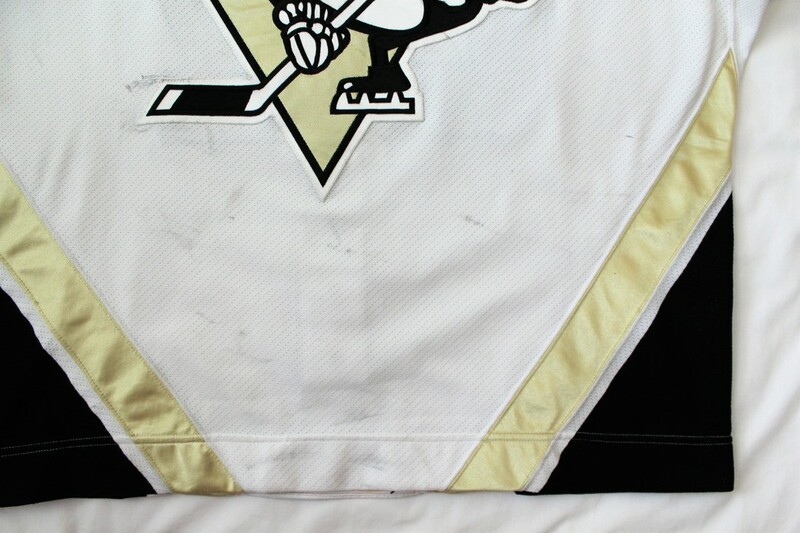 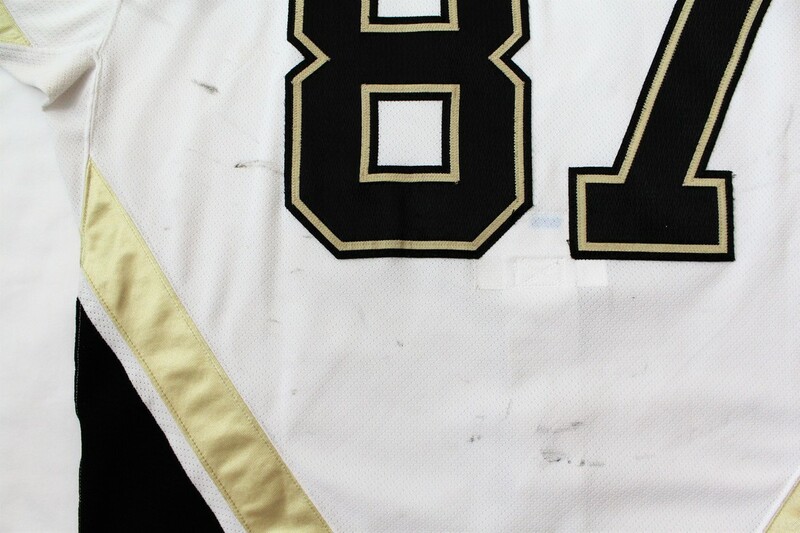 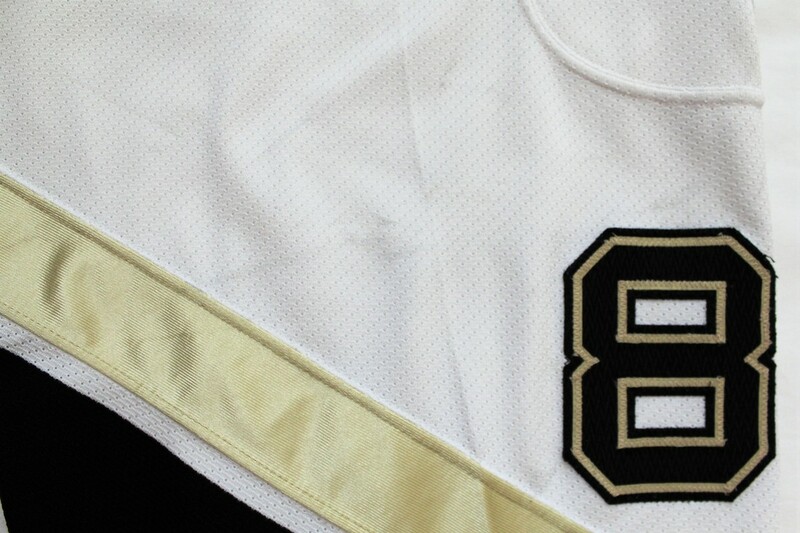 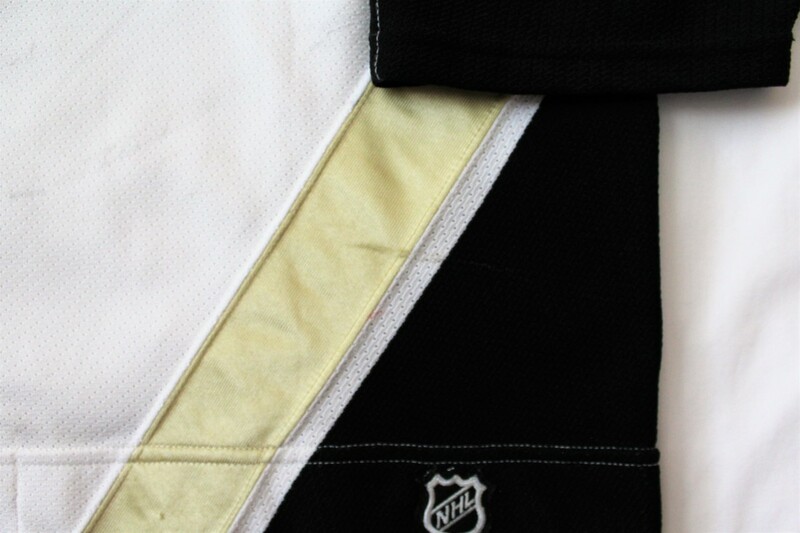 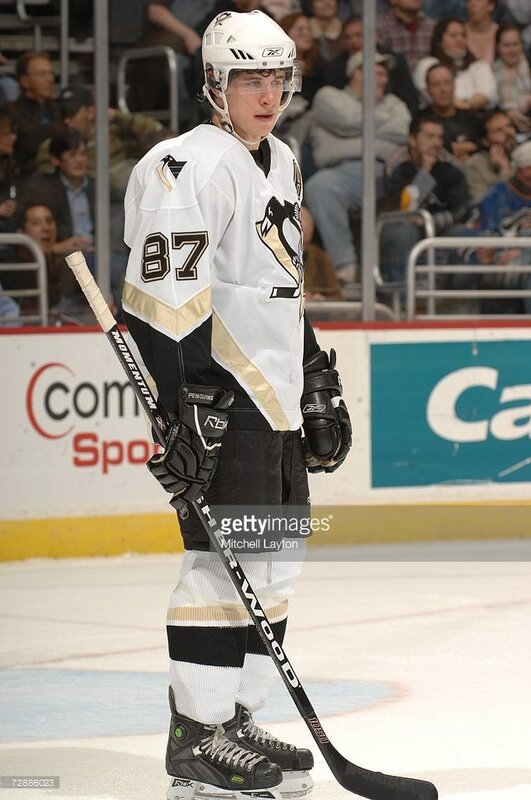 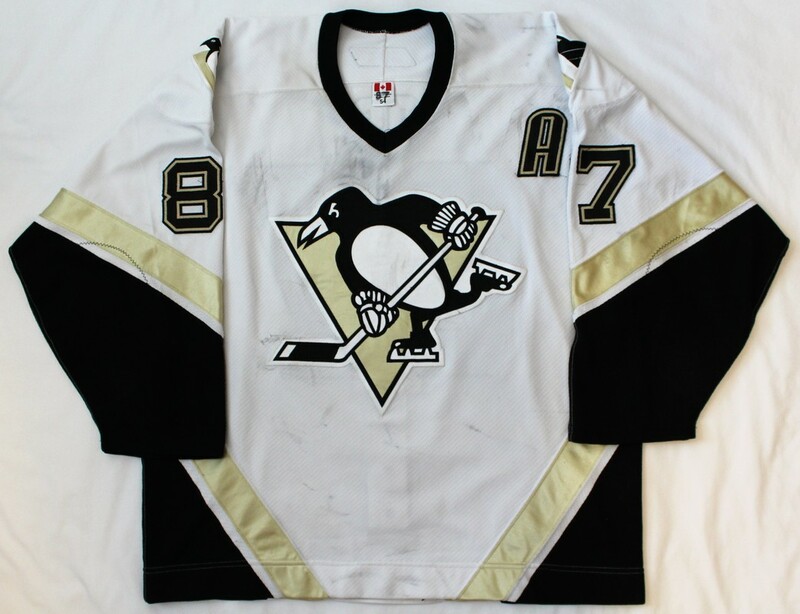 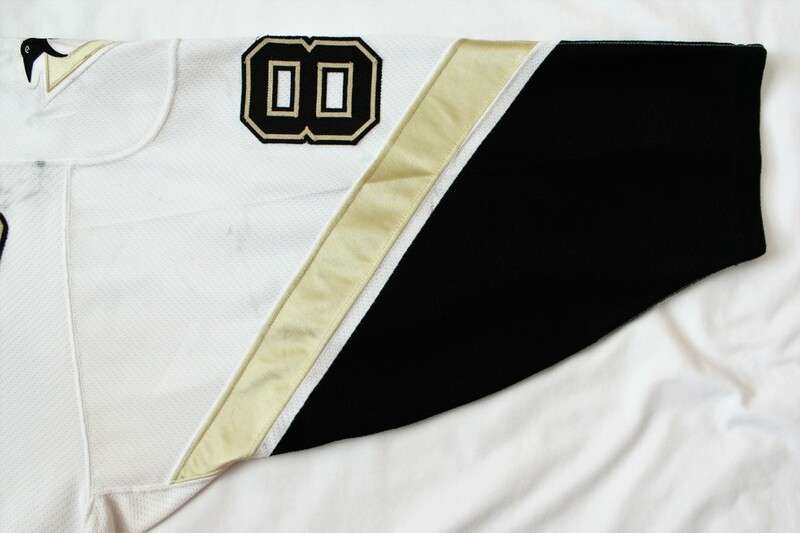 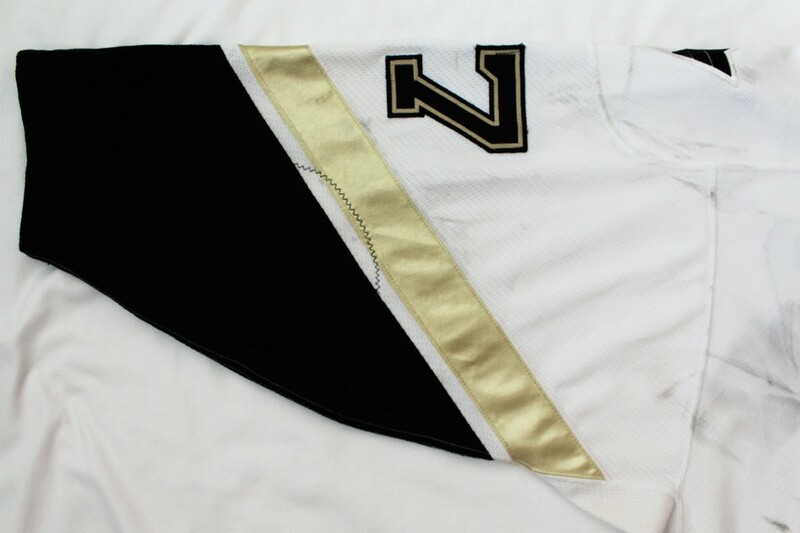 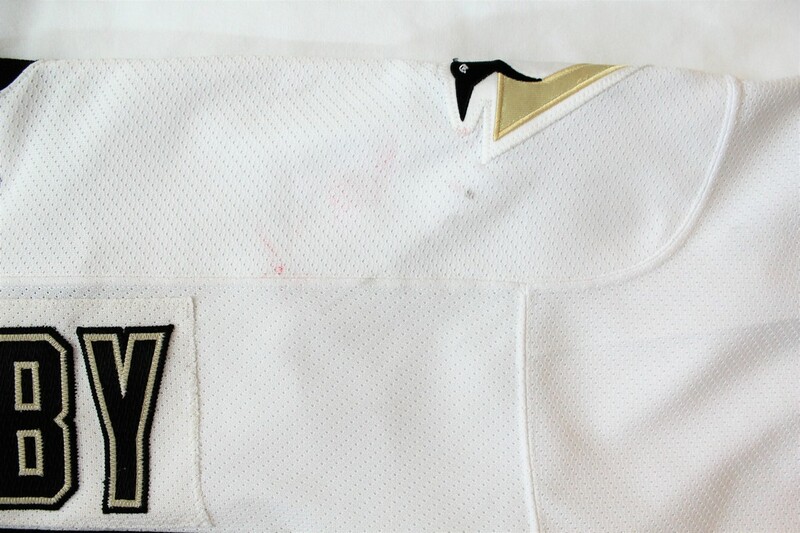 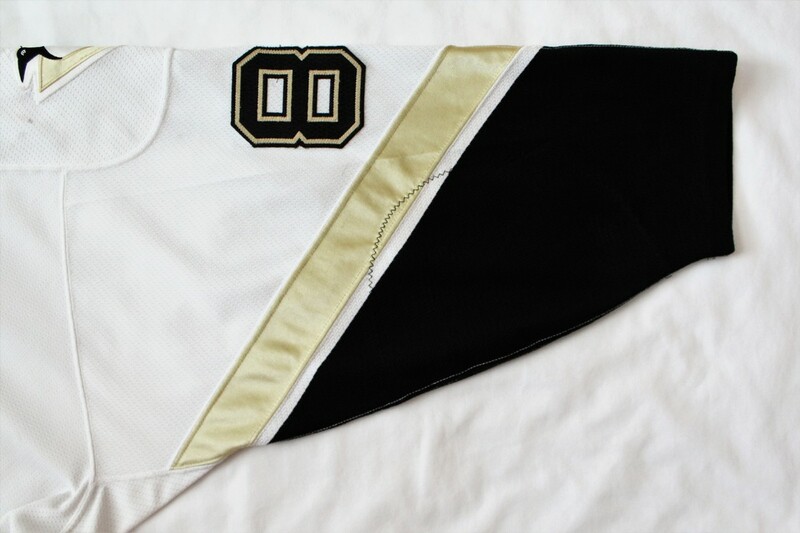 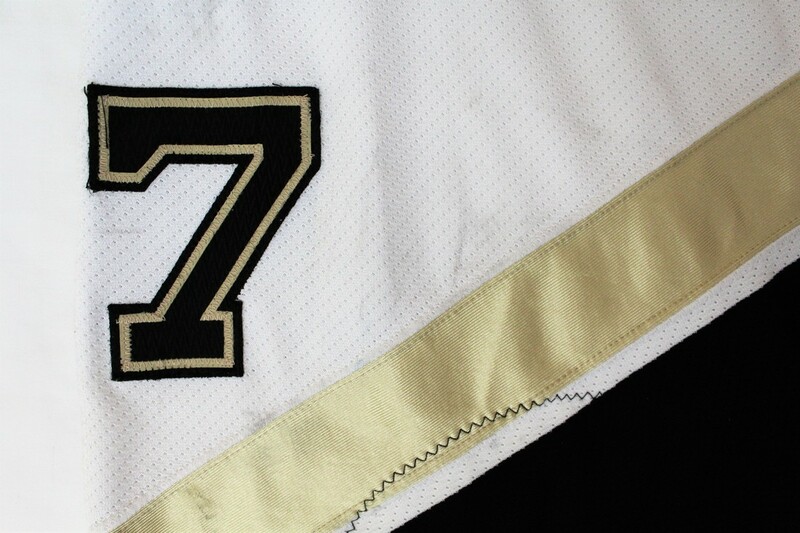 This jersey was worn by Sidney Crosby for the first 20 road games during the 2006-07 regular season. 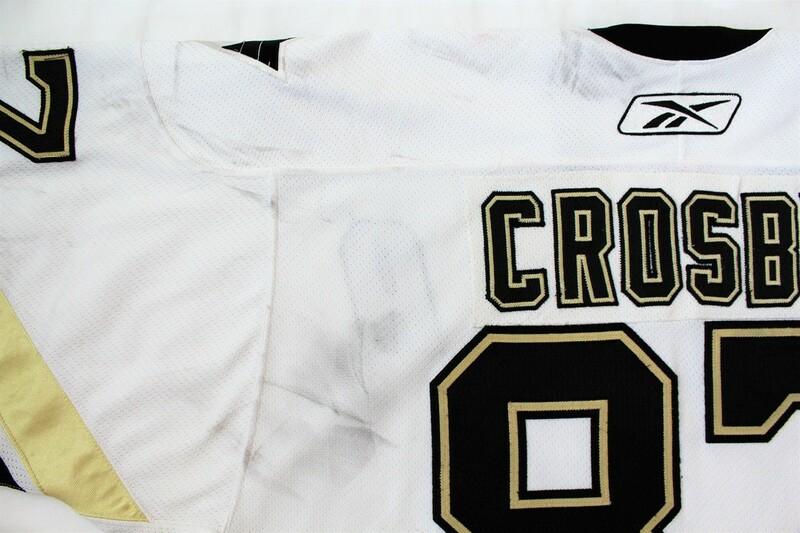 The jersey was worn as he scored his first career hat-trick on October 28th at Philadelphia. 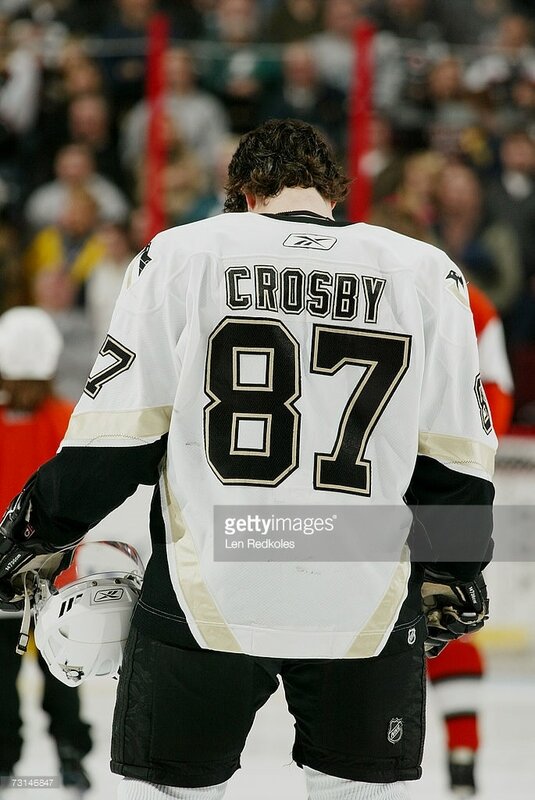 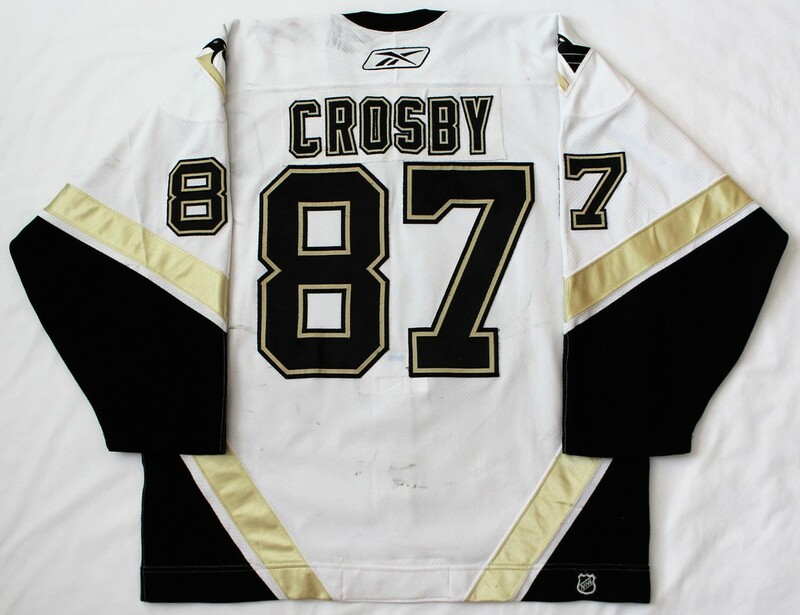 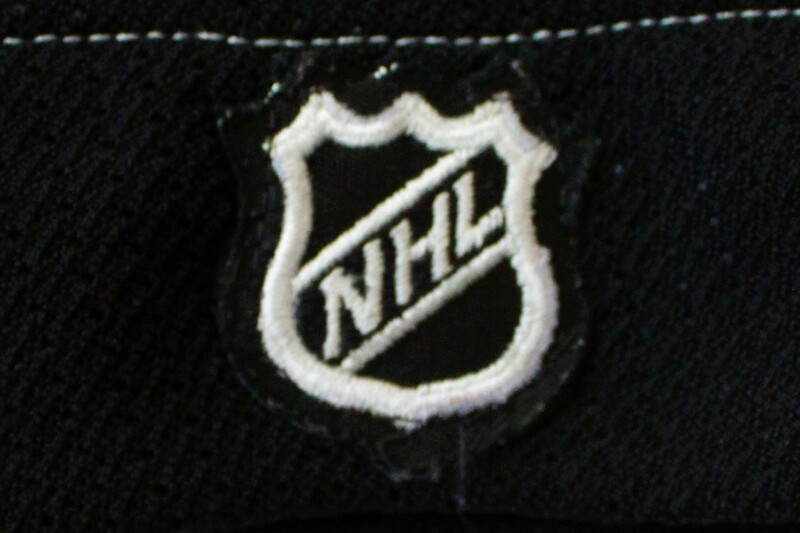 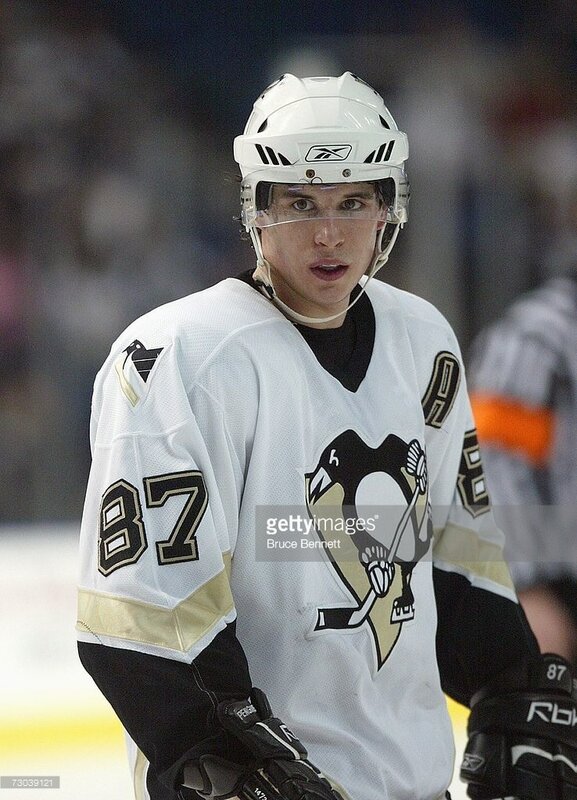 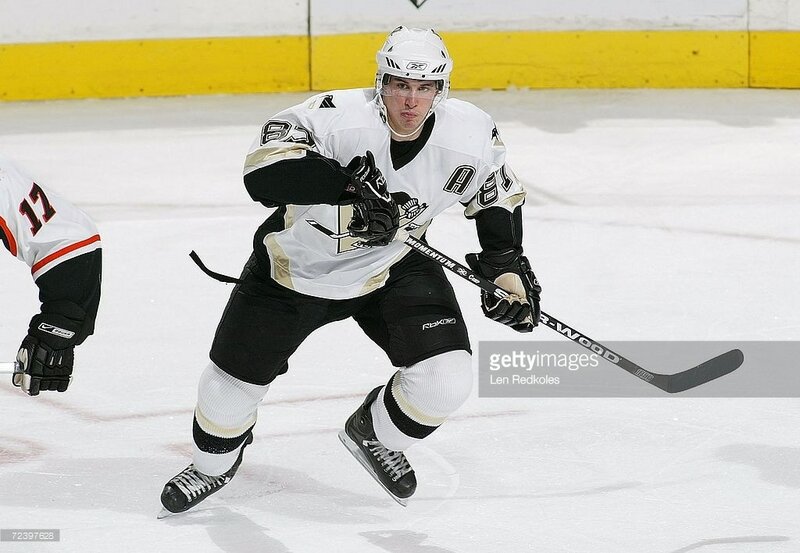 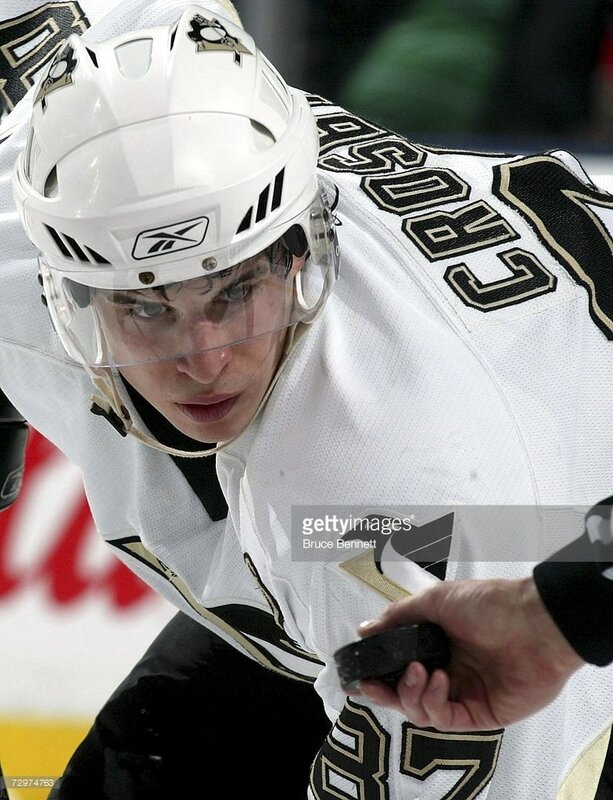 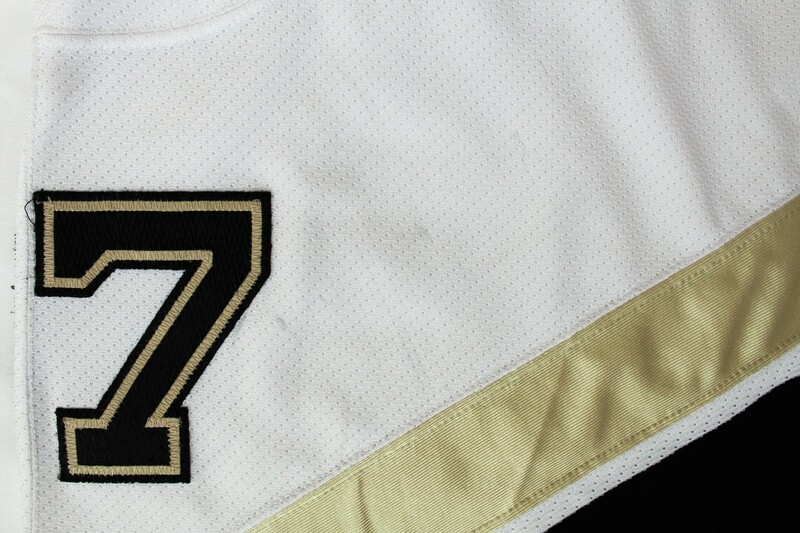 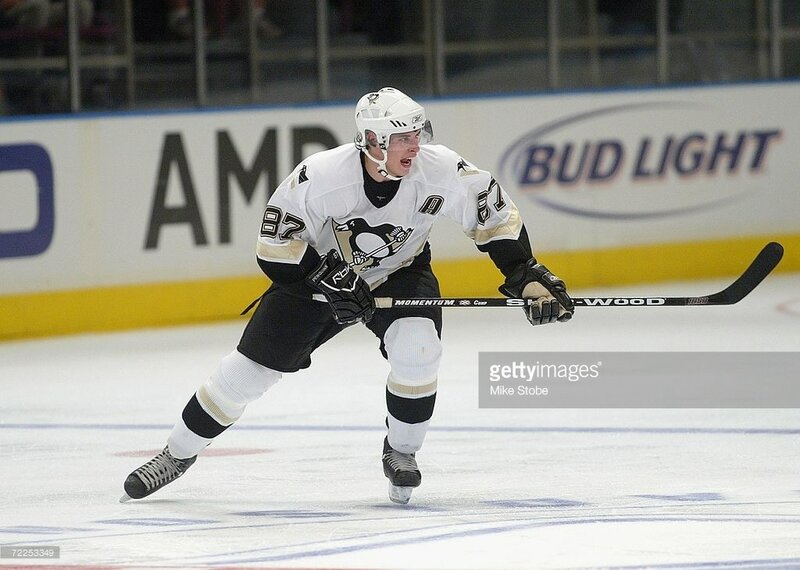 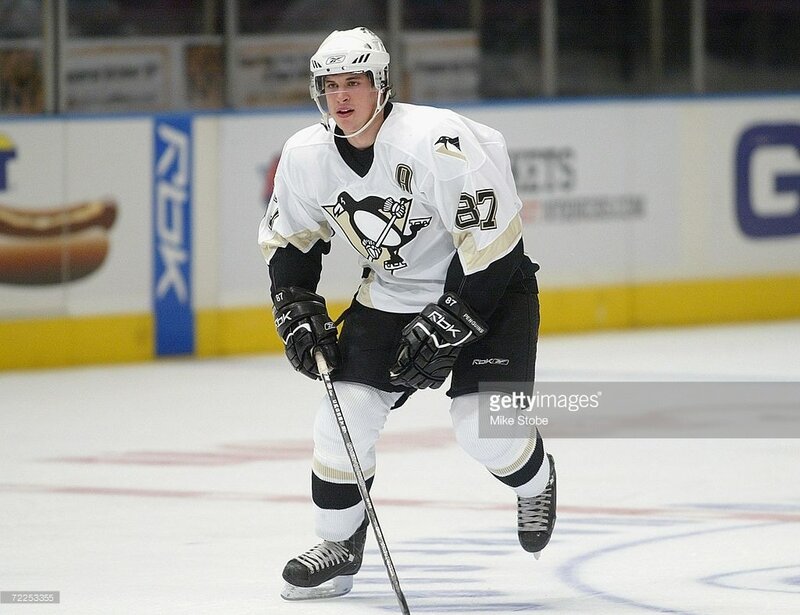 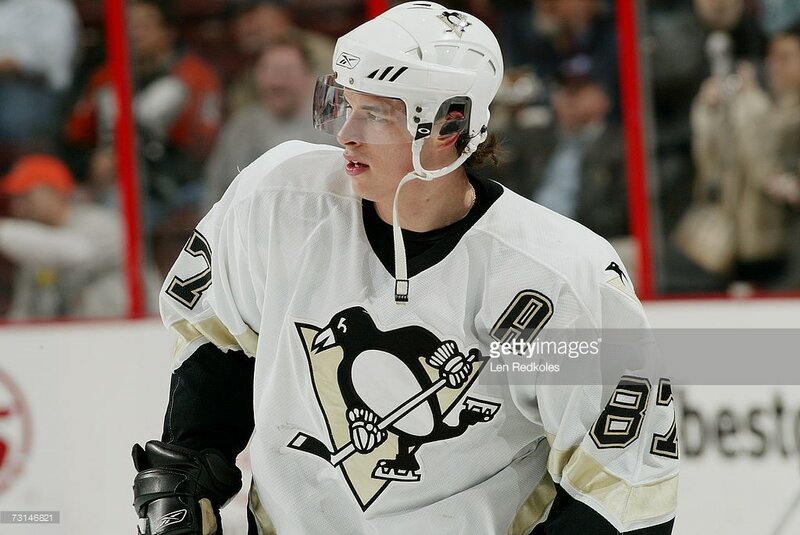 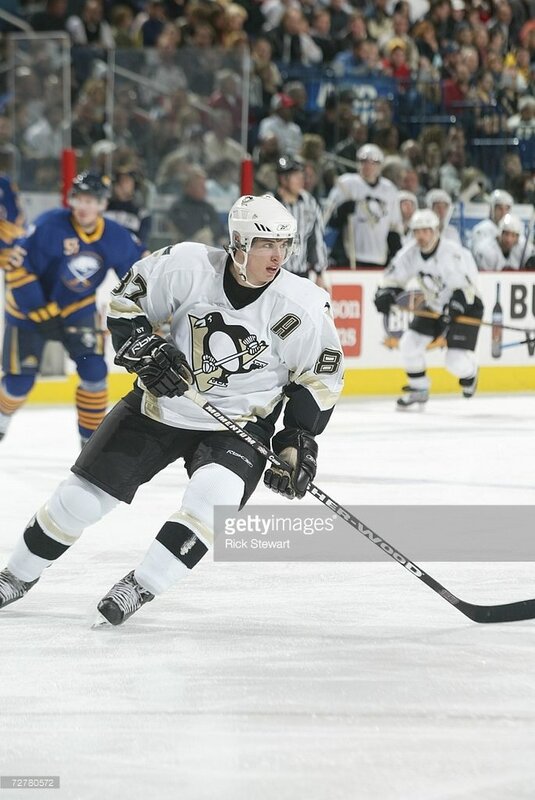 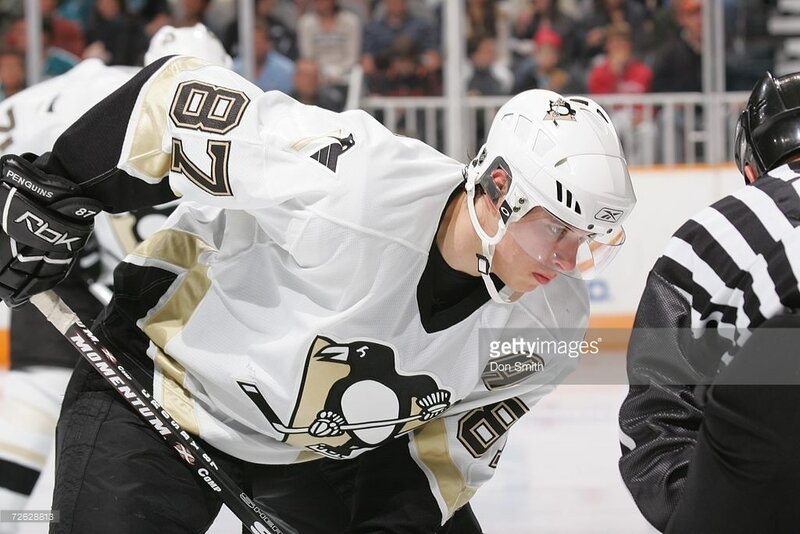 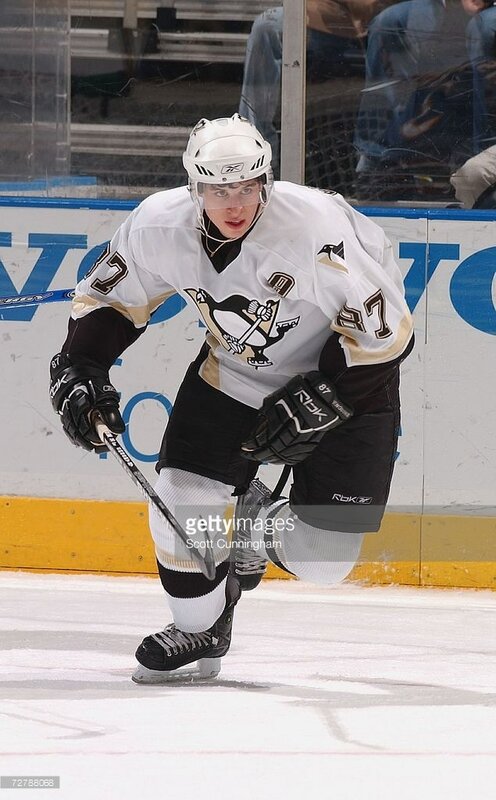 Crosby scored 12 goals and assisted on 17 others for a remarkable 29 points in 20 games while wearing this jersey. 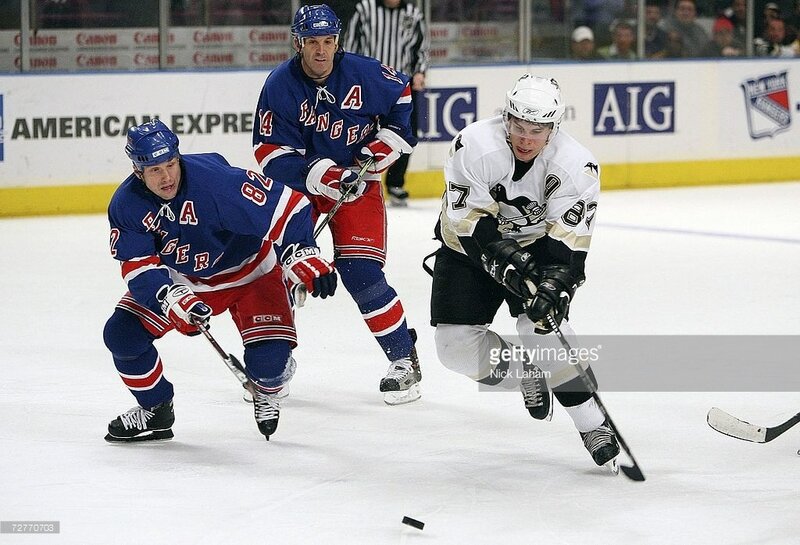 Sidney Crosby beats Henrik Lundqvist with 3.3 seconds remaining in the game to give the Penguins a 6-5 at Madison Square Garden on October 12, 2006. 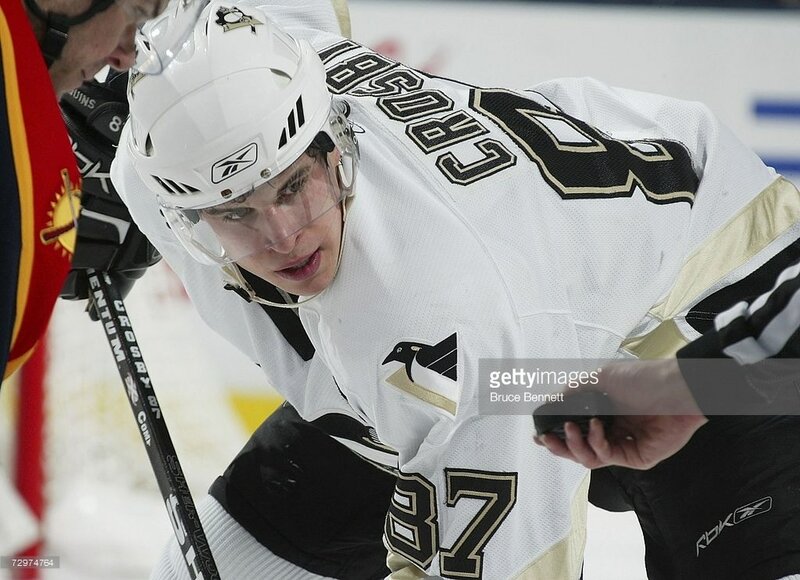 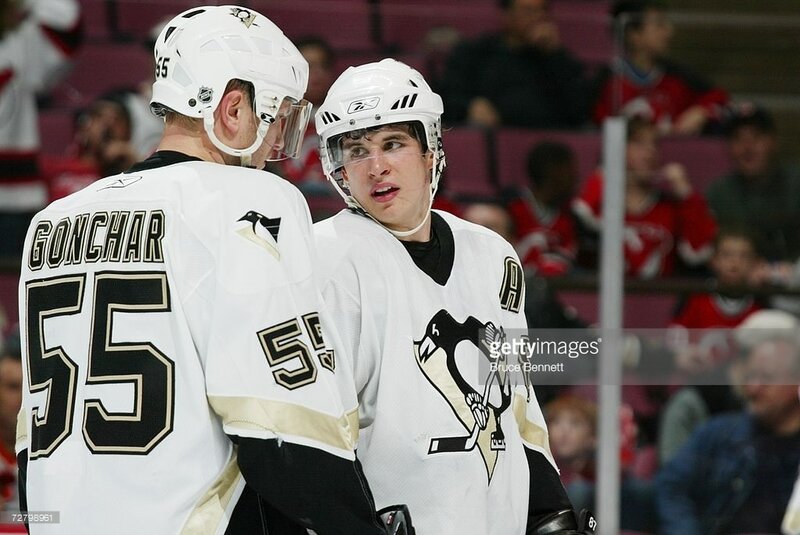 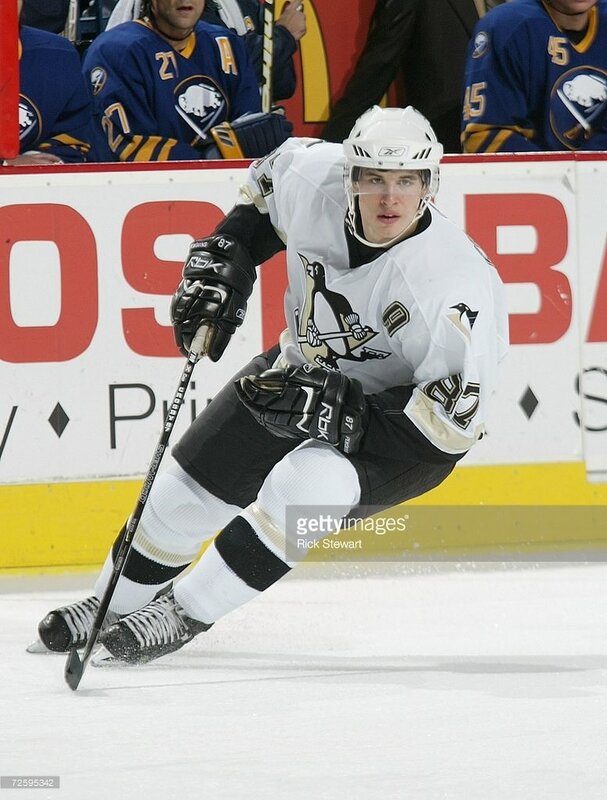 The goal, the Penguins' fourth power-play goal of the game, was Crosby's 2nd of the 2006-07 season and 41st goal of his NHL career. 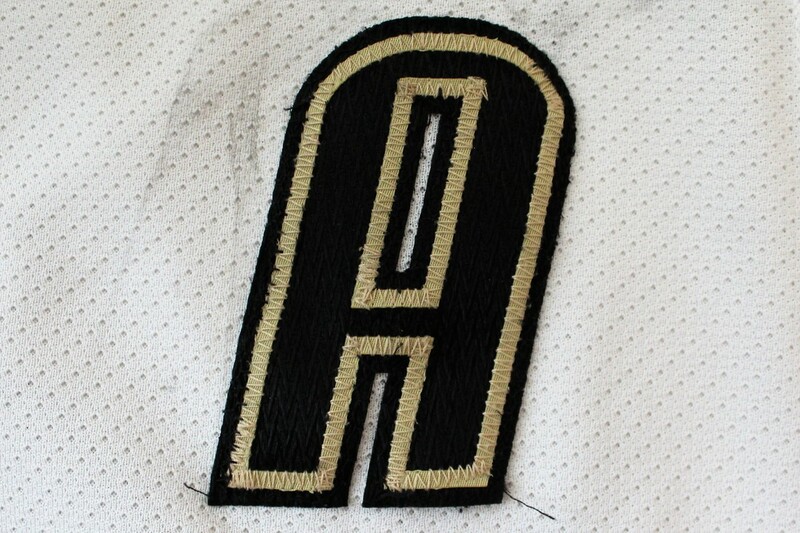 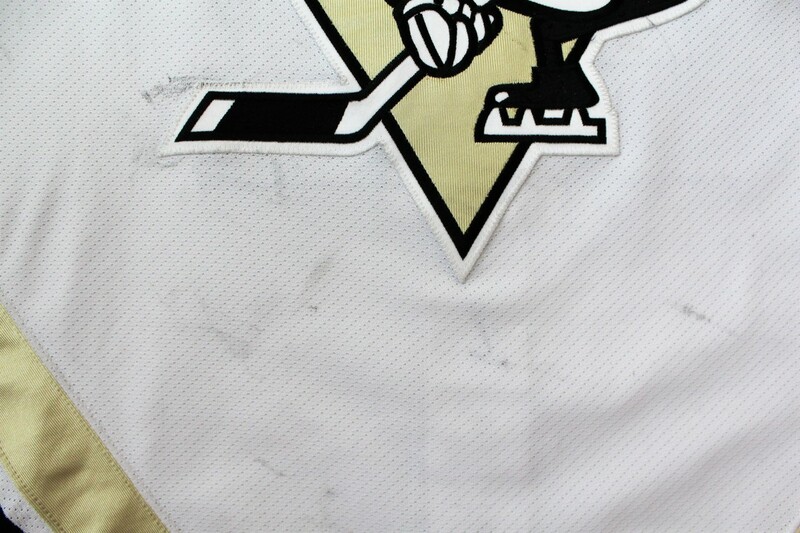 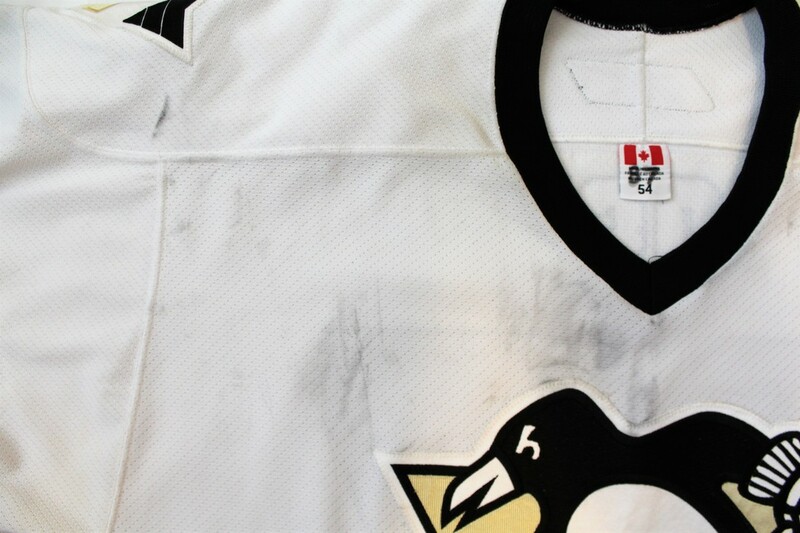 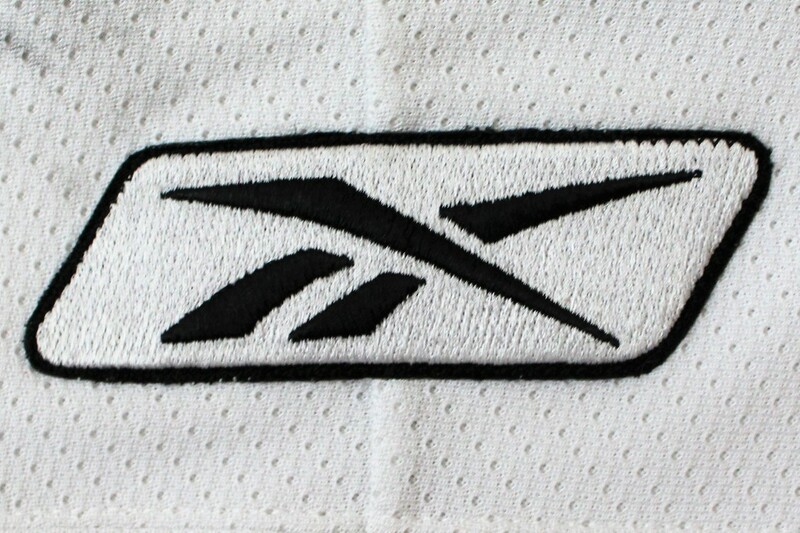 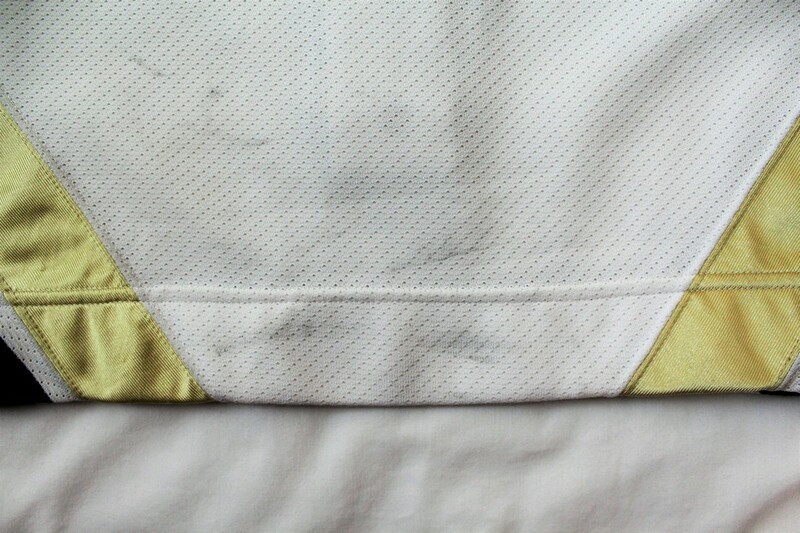 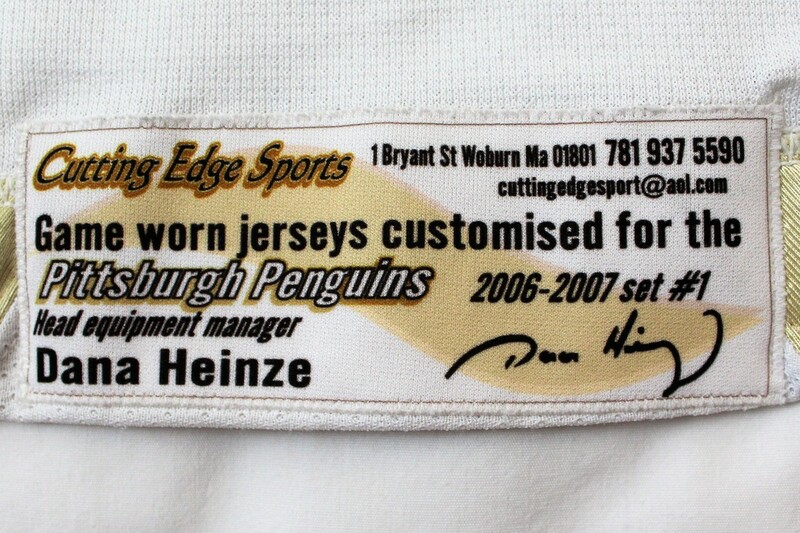 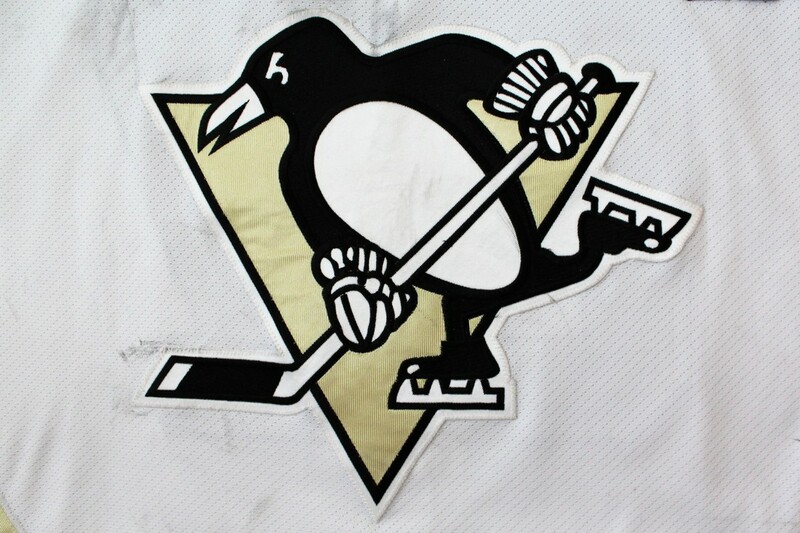 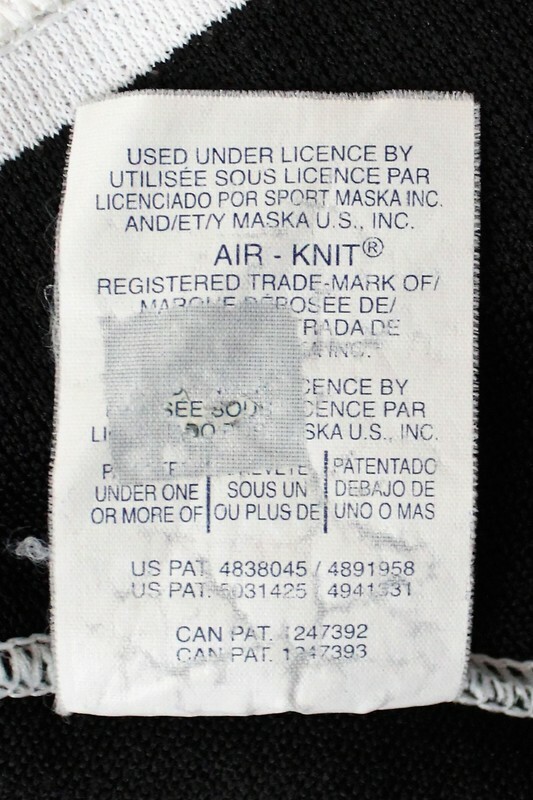 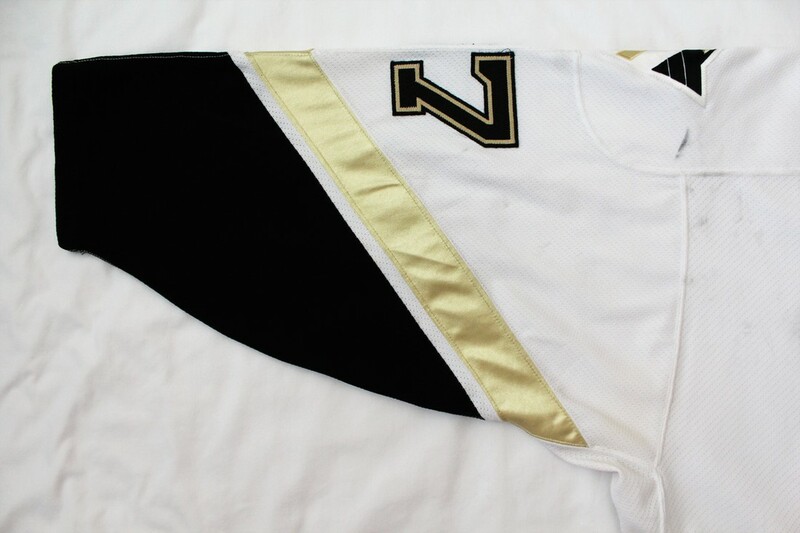 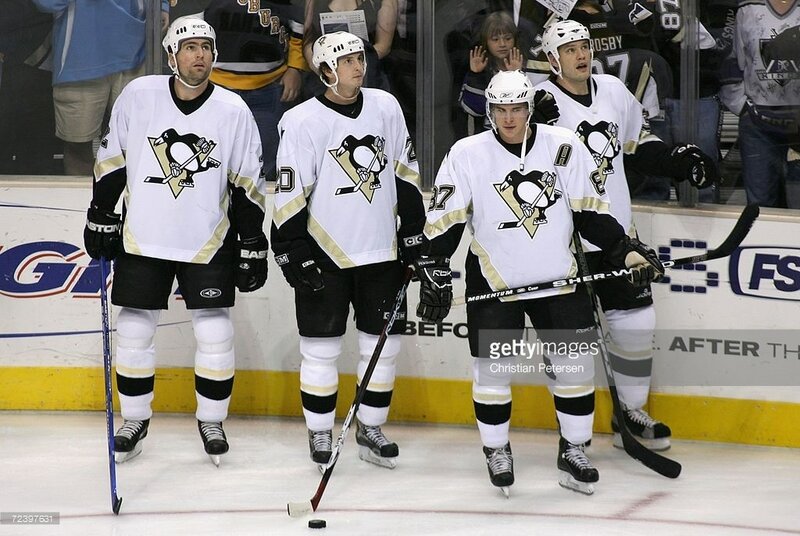 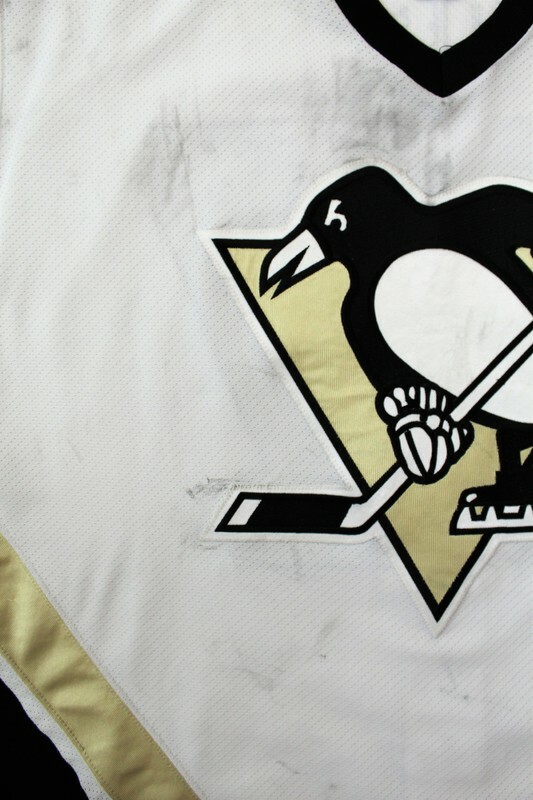 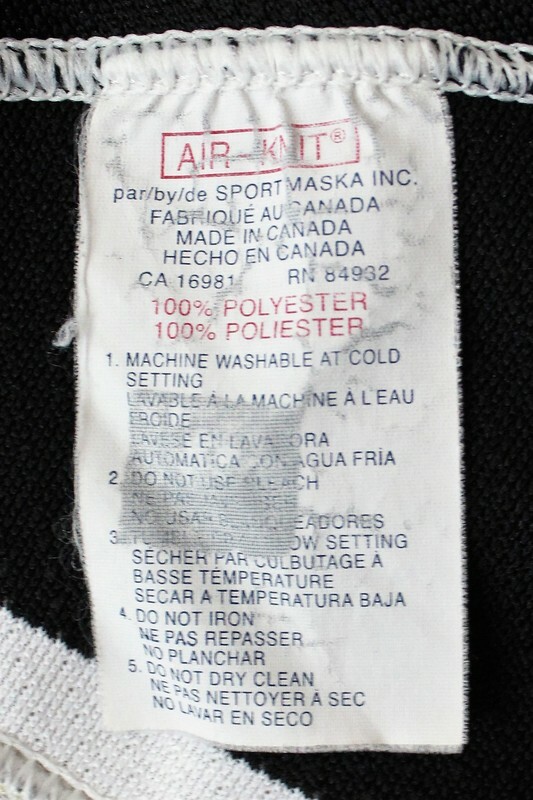 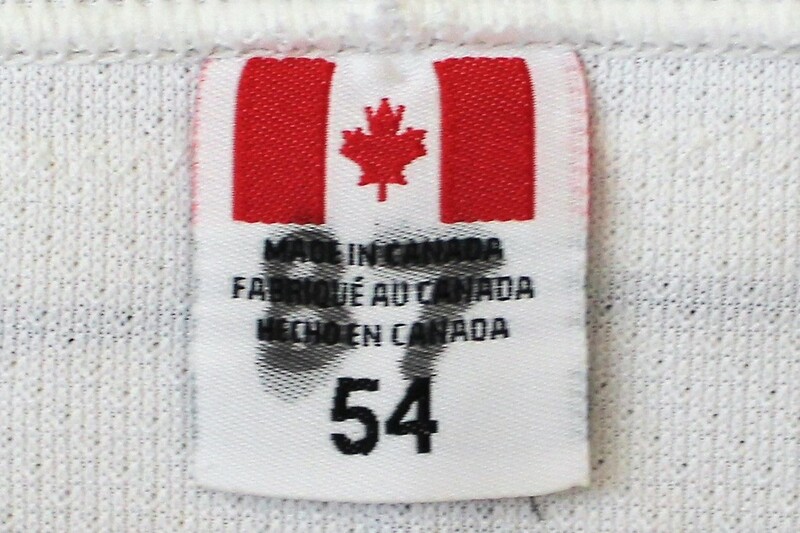 The jersey was acquired by PenguinsChronicles.com from a private collector on March 16, 2017 who purchased the jersey from J&J Distributing in 2007.